There will be plenty of activity for Renault Australia and Renault dealers in 2010. All of Renault’s Australian model range will either be rejuvenated or replaced during the year, beginning appropriately enough at Australian Grand Prix time, with the pulse quickening Clio RenaultSport 200, winner of the UK What Car Award for Hot Hatch of the Year in 2009 (£15,000 to £20,000 category). This will be the forerunner of a continuing flow of releases and updates right through to the final months of the year. 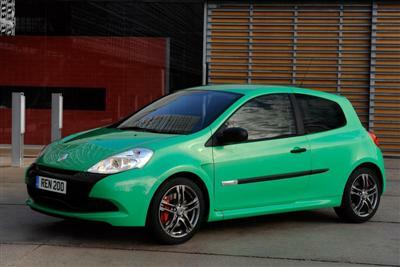 Since 2000, the successive variants of Renault Clio Renaultsport have resulted in it becoming the most popular hot hatch of its class, with over 70,000 worldwide sales. The Renaultsport version of the brand's best-selling model has been unanimously praised by enthusiastic owners as one of the market's best hot hatches, and also one of the most fun to drive. 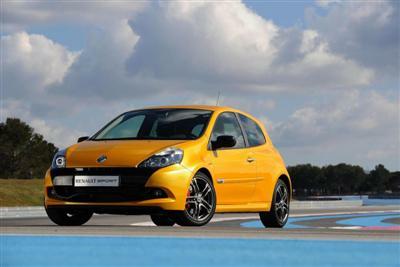 The challenge faced by the engineers from Renault Sport Technologies was to build on the existing qualities of Clio Renaultsport 197 and take its inherent strengths and dynamism to a new level.